On Saturday, April 1, 2017, Palter Stokley Sims co-sponsored the 2017 GIRLS ROCK! Arts, Culture and Politics empowerment event at the beautiful Crow Museum in downtown Dallas. 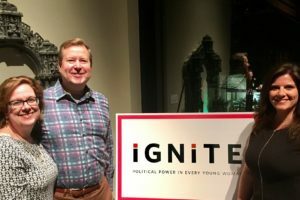 PSS member Kimberly Sims is a member of iGNiTE’s Texas State Council, and John Palter is a past board member and honoree. GIRLS ROCK! is iGNiTE Texas’s annual fundraising and empowerment event. Students, community members and prominent guests will explore the Crow Museum while learning about the mission of iGNiTE to train future female political leaders.